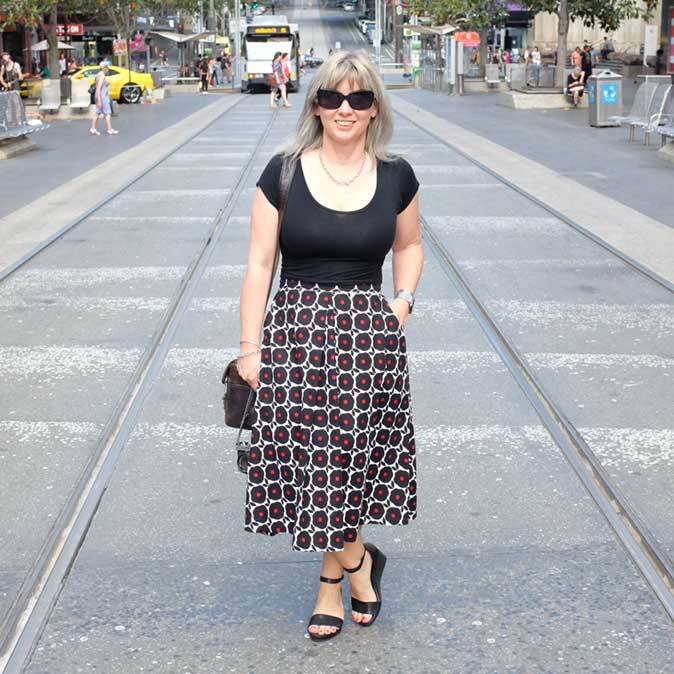 First stop was to visit Rushfaster…an online site specializing in bags that I have loved for years! 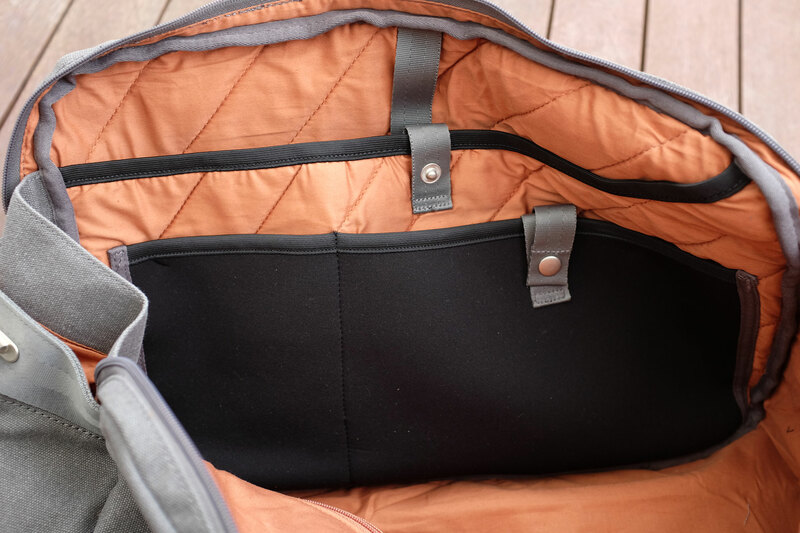 Anyway, this time I was on a mission…I wanted a bag which both my husband and I could use…that was large enough to fit everything, but still be within the perimeters for a carry on bag. 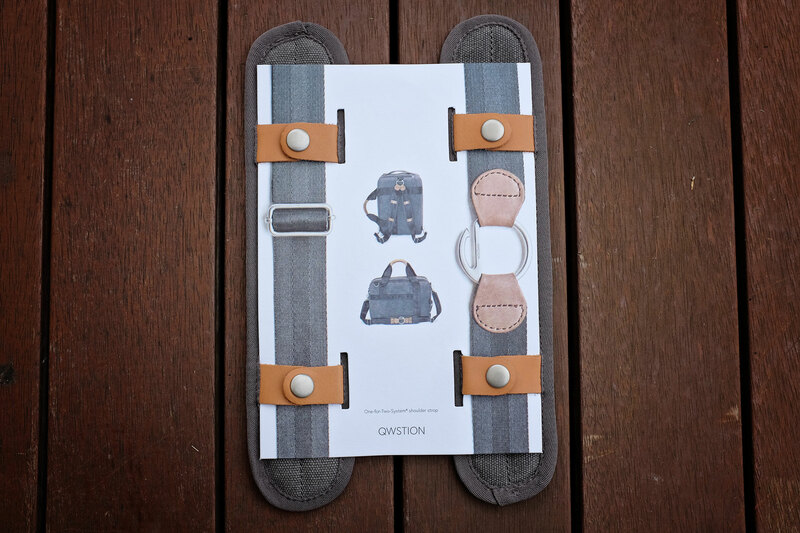 The Qwstion Weekender caught my eye, and soon one was on its way to my postbox! Express postage meant I didn’t have to wait long, and it arrived the very next day! 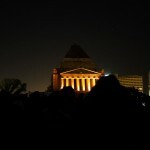 And I am glad to report that the Qwstion Weekender was exactly what I was looking for! The company is passionate about designing quality items through sustainable ways of production, by using environmental friendly products wherever psossible. 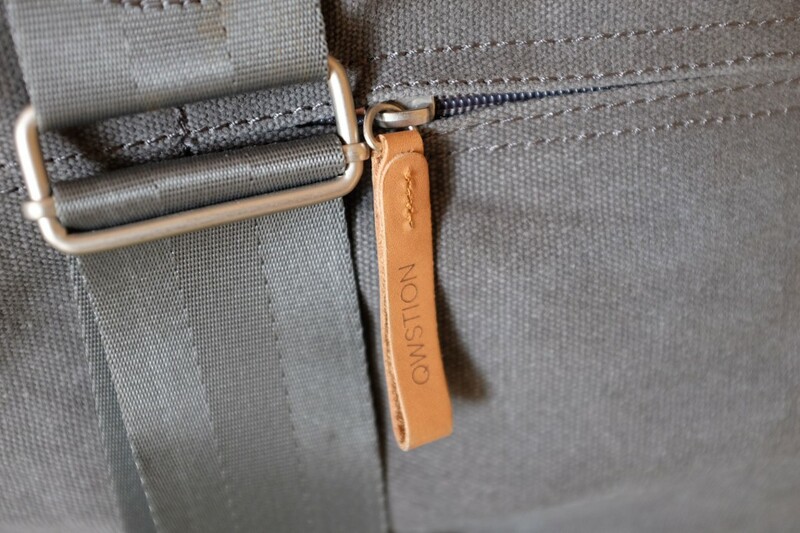 And the Qwstion Weekender is certainly well made with solid buckles, handles, zippers and tags…it feels like it will stand up to any wear and tear with no problems! 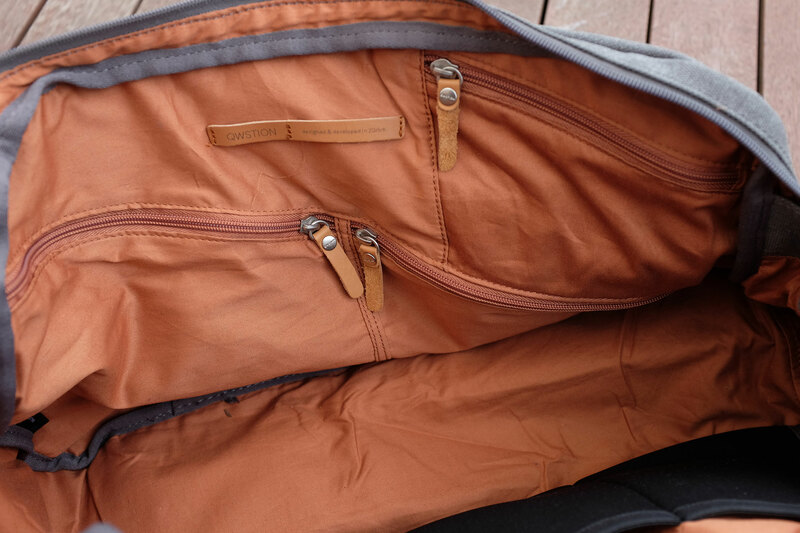 Plus the washed grey fabric is water resistant! There is a double zipped flap over the top which opens the bag right up for easy packing…the flap can be “locked” down so it can’t be accidentally opened. And under that is the perfect pocket for a water bottle.. 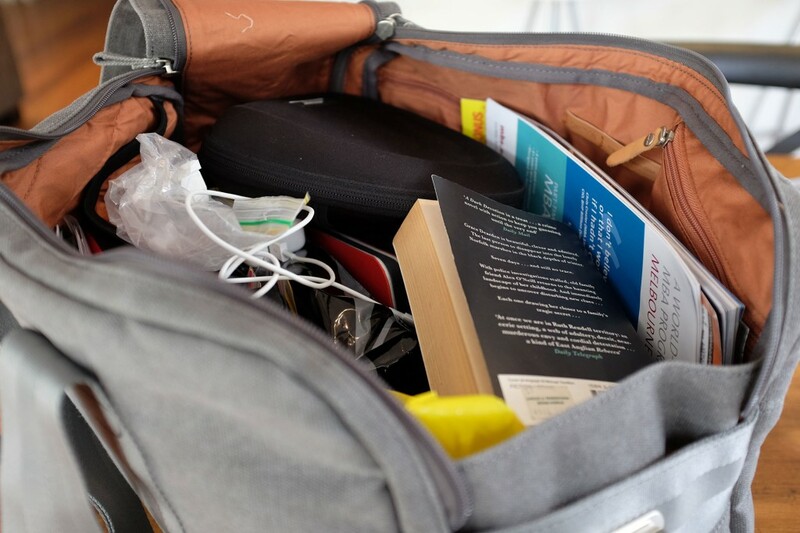 I am not going to embarrass myself by laying out everything I packed into the Weekender…hey, you have to be prepared for anything! But the downside of putting everything bar the kitchen sink into the Weekender, is that it can make it very, very heavy! 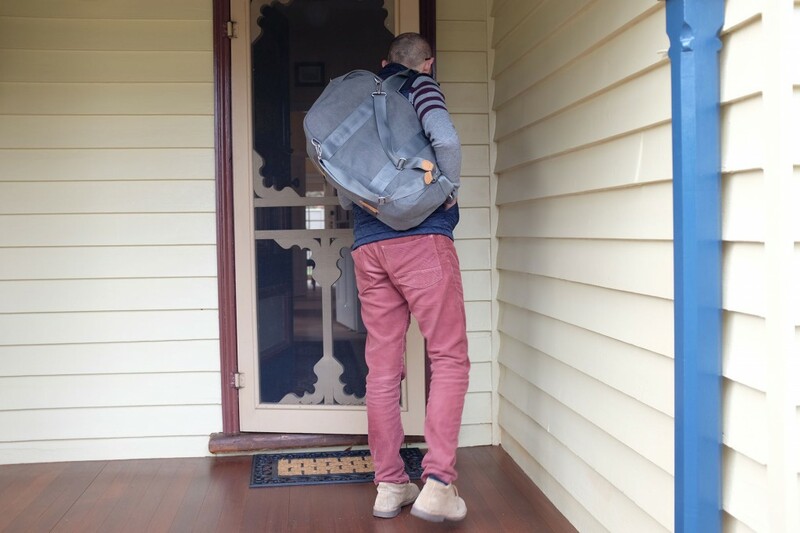 It is a soft bag, however there is an integrated padded pocket that you can use for a laptop/tablet/ipad….it can fit up to a 17 inch MacBook Pro. I put my Microsoft Surface in there, but added extra padding by putting it in another soft case….I was a bit worried about something breaking the screen when the bag was put in the overhead locker. 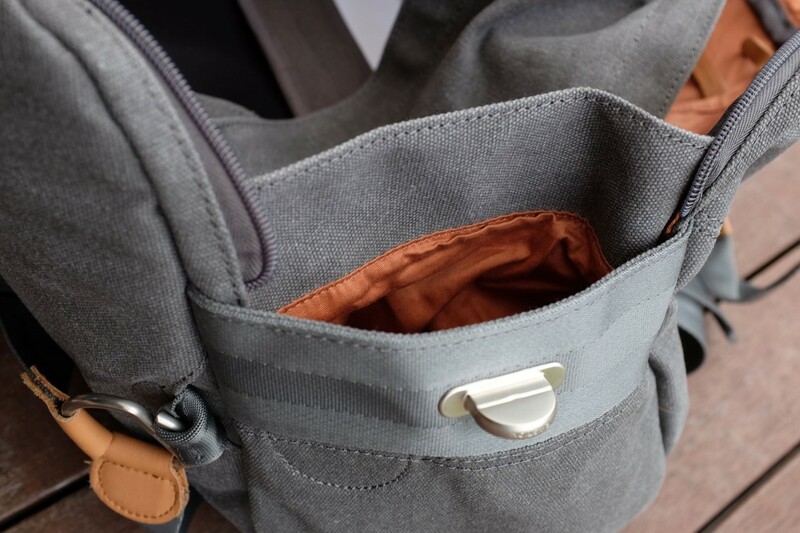 There are also three zippered pockets inside..perfect for storing keys, memory cards, batteries, chargers etc. 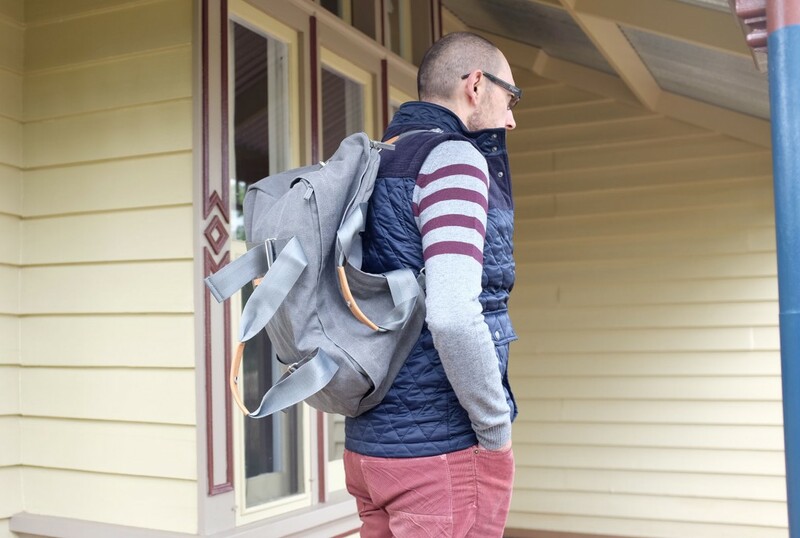 The Qwstion Weekender has an ingenious set up where you can swop from using it as a backpack, to using an over the shoulder strap. 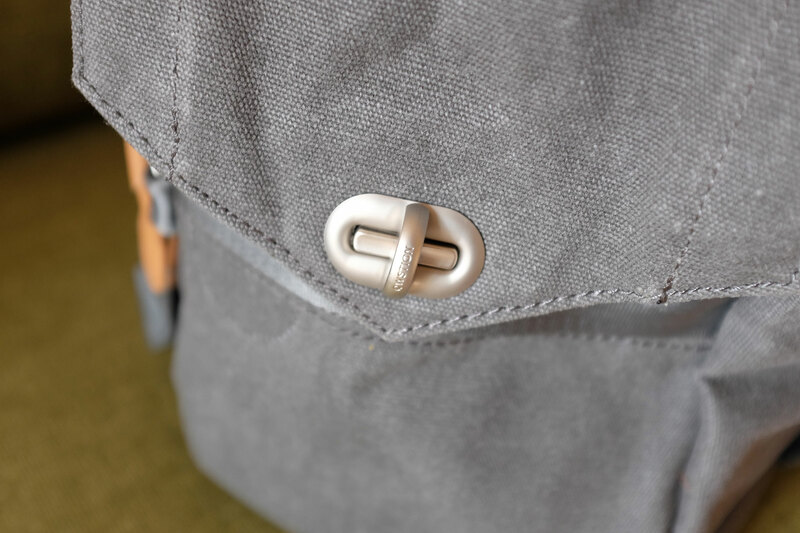 One hint…make sure the top flap is zipped up and locked before using a backpack, otherwise everything will fall out! 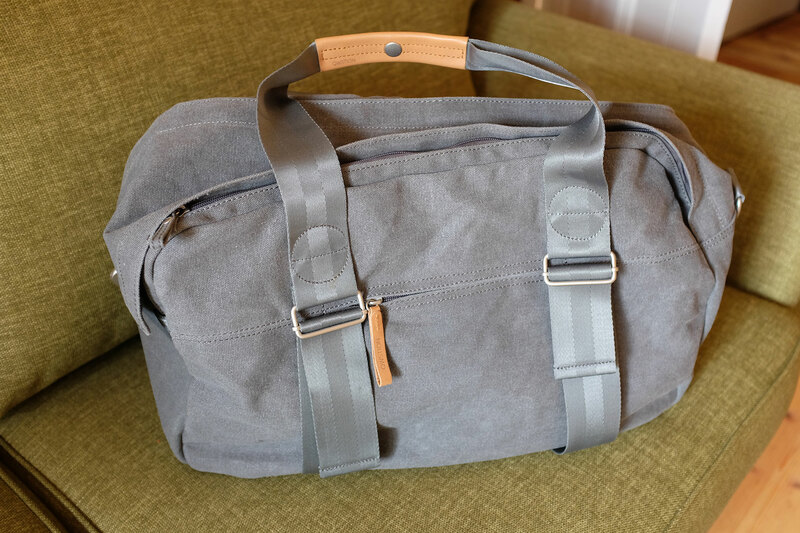 Although marketed more to men, I loved the look of the Weekender…the inside is orange, which goes nicely with the washed grey fabric…and a welcome change from the boring black and boxy roll on luggage! I am not a “girly” girl and the Weekender’s simple, modern design suits me just fine! I am quite short, but I didn’t feel like the Weekender was too big in size. I was able to carry it on board the flights with no problems. And because it is a soft bag, you can squeeze it into smaller spaces, such as under the seat…depending on how much is inside it, of course! 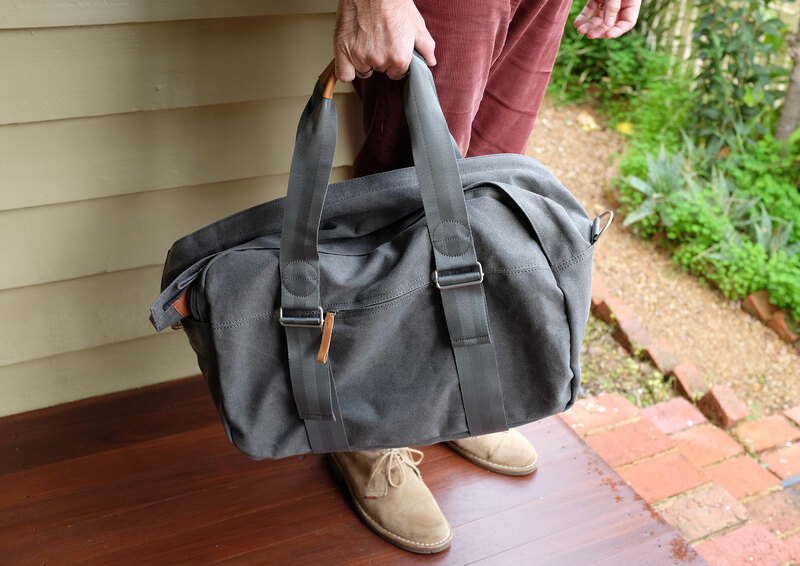 It’s casual yet smart design means that this bag could be used for anything from a gym bag to a work bag to an overnight bag! And that is exactly what Qwstion’s aim is…bags that will work anywhere from the formalities of boardroom to the casual wear of the weekend! 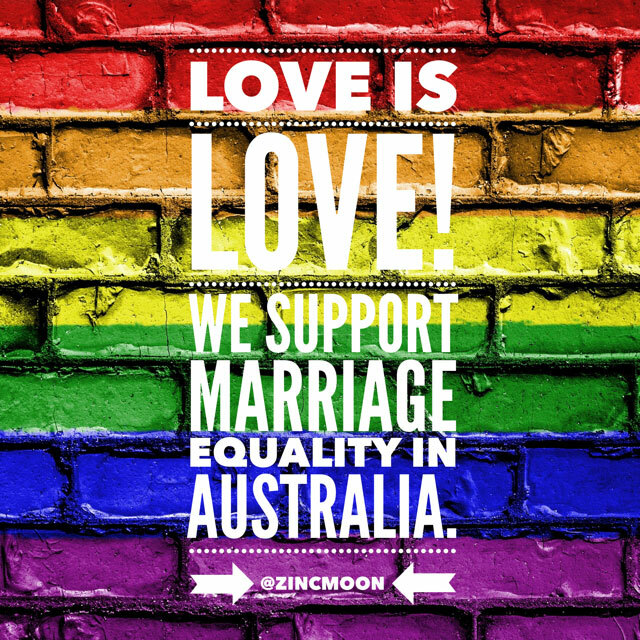 Click here to find out more about Qwstion! Do you think this bag would be a good choice for grad school daily use? I am commuting so I will most likely have several books with me and my laptop each day. Is it too big for this purpose (i.e. will I look strange carrying it around on campus)? Thanks!